Are you suffering from acute pain due to a swollen tendon? You can go for Tenodesis, a medical procedure to get immediate relief from pain. Read on to know about Tenodesis definition and everything related to this medical procedure. What is the Tenodesis Effect? Tenodesis is a surgical process by which a tendon is fixed steadily and firmly, as to a bone. The process usually joins the end of a tendon surgically to a bone. This prevents movement of tendons from their normal position. The procedure is mainly useful for treatment of a painful biceps tendon. It corrects abnormalities in only one joint. Direct Dynamic Tenodesis – It is carried out on the same side where the rotation axis of joints is present. Crossed Dynamic Tenodesis – This surgical method intersects the rotation axes. This method restores passive extension of the wrist. Tenodesis Effect is a process used to detect any abnormal condition of the tendons. In patients with seeming abnormalities of the tendon, a surgeon uses the Tenodesis Effect to gauge the extent of damage. A general anesthesia is administered to the sufferer following which the test is carried out. The wrist is flexed to extend the fingers completely. Again, the wrist is extended to produce flexion of the fingers. Tenodesis Grasp or Functional Tenodesis Grasp refers to an opposition of the index finger and the thumb. Wrist Grip or Tenodesis Grip refers to a wrist posture that determines the position of the thumb and fingers allowing the finger to come in contact with the thumb. Tenodesis test is very important in cases involving tendon rupture or nerve paralysis. Doctors carry out this test to find out the cause of abnormality in wrist or fingers. Tenodesis test involves Tenodesis Effect, a simple flexing and extending of the wrist. In normal people, the fingers can be extended when the wrist is flexed and vice versa. But this effect is lost if the tendons are not intact. Loss of tenodesis movement in fingers implies a rupture of the tendons. Biceps Tenodesis is a surgical process used to cure affected bicep tendons. Bicep tendons attach the bicep muscle to the shoulder joint socket. In cases where the bicep tendons suffer an inflammation or irritation or gets detached from the socket of the shoulder joint, Biceps Tenodesis is necessary. This surgical process cuts the normal attachment of the tendon to the shoulder joint socket and connects it to the humerus (arm bone). This surgical method is generally used for patients over 40 years of age who have low physical demands. Biceps Tenodesis is often required for repairing a rotator cuff injury. Once surgery is carried out to reattach the bicep tendon, Biceps Tenodesis Rehab Protocol becomes necessary. The system consists of Tenodesis exercises. The patient has to start with simple gravity exercises and graduate to heavier workouts. The protocol is best performed in four stages. The first stage is completed within a month and involves gravity pendulum exercises. Patients have to wear an immobilizer at all times except while doing workouts or taking showers. The second stage usually comprises of wall climb exercises and lasts from 1-2 month. The third stage begins thereafter and comprises of exercises with free weights, wall pulleys and elastic tubes. The fourth stage lasts as long as the doctor feels necessary and involves more intense workouts. After the successful completion of a Tenodesis biceps tendon surgery, a patient can return to normal routine in 3-4 weeks. All kinds of work that require lifting heavy loads, pushing or carrying bulky objects are prohibited for at least 6 months. The recovery time usually varies from person to person. Patients also need to visit their doctor from time to time to report about their health status. Doctors evaluate the progress and advise specific exercises to help strengthen the operated area and aid the recovery process. 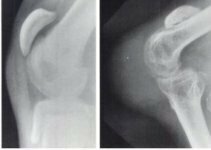 An unsuccessful Bicep Tenodesis surgery is known as “Bicep Tenodesis Failure”. Bicep Tenodesis fails either due to a mechanical failure of Tenodesis or any shoulder problem that is not taken care of during surgery. It results in constant pain in the bicep groove. This problem is cured with other surgical methods like Biceps Tenotomy or Revision Tenodesis. Revision Tenodesis involves complete removal of the tendon from the socket. This preserves the function of the biceps. In mild cases of Bicep Tenodesis physical therapy can be tried out before surgery. Many bodybuilders recover after following a few weeks of physical therapy program. Care has to be taken to warm up the area before lifting heavy weights and performing strenuous jobs that require shoulder usage. Unless care is taken, the shoulder tendon may suffer a tear making the situation worse. If you are having an acute shoulder pain, it is time you seek medical help. A delay in treatment can make you suffer greater discomfort due to a possible tendon rupture. Early medical treatment will help you get rid of more complicated conditions with physical therapies.